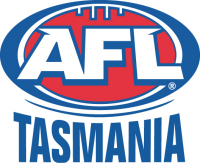 AFL Tasmania today announced a new record number of participants in football across Tasmania in 2005. There were over 28000 players involved in all levels of football in Tasmania in 2005. This represents an increase of just under 25% from the previous season. Since the 2000 season Tasmania's participation has grown by just under 50%. The Tasmanian increase was the highest in Australia in 2005 and, subsequently, Tasmania has now achieved the highest participation rate in the nation. Tasmania's participation rate, which is the number of players from the male population aged between 5 - 39 years, is now just over 22%. This is an increase from around 17% in 2004. The basis of the increase was the continued growth of the AFL Auskick program which increase from 6336 in 2004 up to 8551 in 2005. Auskick caters to 5 to 8 year olds. There was also a significant increase in primary school football programs for ages 11 and 12 with more than 2500 new children participating in a structured football program. Other categories including: Junior Club, Youth Club and High School football all showed increased numbers of participants. The result, which is the highest single annual increase in Tasmania's history, was planned and came about as a result of extra resources in Tasmanian football development in Southern Tasmania. The Tasmanian State Government provided a grant of $150,000 to reinvigorate football development in Southern Tasmania. The continued support of Aurora Energy for primary school football and MBF for community club football has also provided significant financial support to Tasmanian football. The AFL's Youth Ambassador, Jason McCartney, assisted with the announcement and congratulated the Tasmanian football community on their commitment to the game.